People don't realize that Phuket is actually a large island, a province of Thailand in fact. 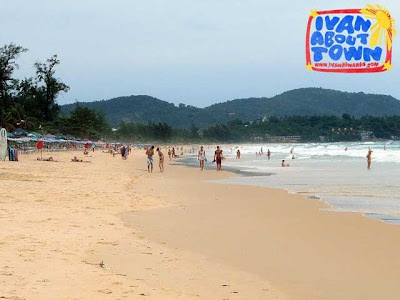 It took me an about an hour to get from the Phuket International Airport on the northern end of the island to my resort on Cape Panwa, the southwestern tip of Phuket. I stayed at what many consider to be among the best resorts on the island, Sri Panwa Phuket, an experience I will share in another post. 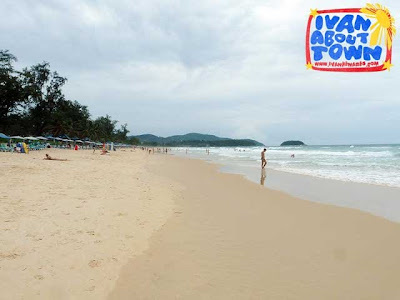 Phuket actually has quite a number of popular beaches. Unfortunately, I had a hire a car to take me to see all the beaches. It was a rainy September when I was in Phuket so the sun was not out. 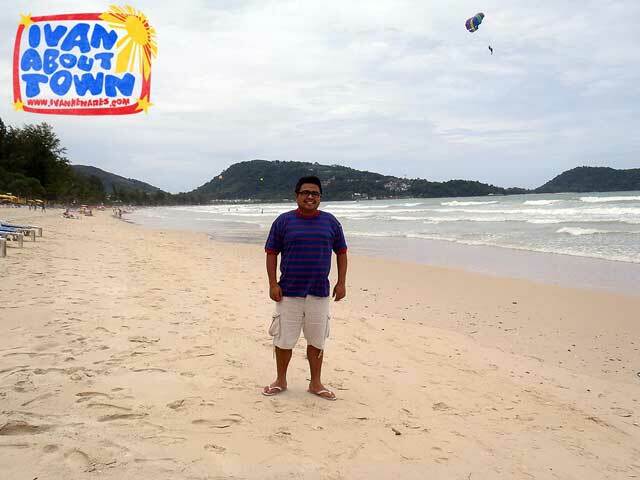 But I got to see Rawai, Kata, Karon and Patong Beaches, albeit under overcast skies. My first beach stop was Rawai Beach which was closest to the resort, being on the south side of Phuket as well. It's not really popular for swimming but you'll find traditional fishing boats and long tail boats moored at the beach, which tourists hire for snorkeling and sightseeing trips to nearby islands. Kata Beach (Kata Yai and Kata Noi) and neighboring Karon Beach are popular surfing beaches. Kata, with its village atmosphere, is more family-oriented, and a quieter version of party Patong. Kata Noi has the resorts, restaurants and tourist shops while Kata Yai is the less-developed beach. Karon Beach is the second largest tourist beach of Phuket, with three kilometers of white sand. Most of the beach is public since a busy road separates the resorts form the beach itself. 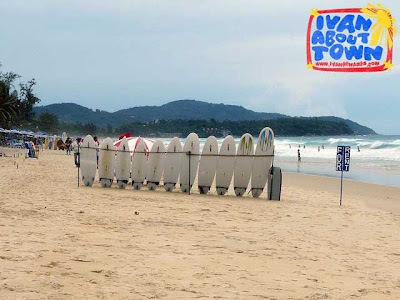 The beach is said to be the most upscale of the beaches of Phuket. 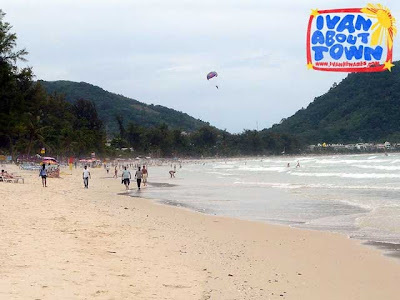 Patong Beach is Phuket's party beach. It gets rowdy especially in the evening with numerous hotels, restaurants, nightclubs and bars to choose from. 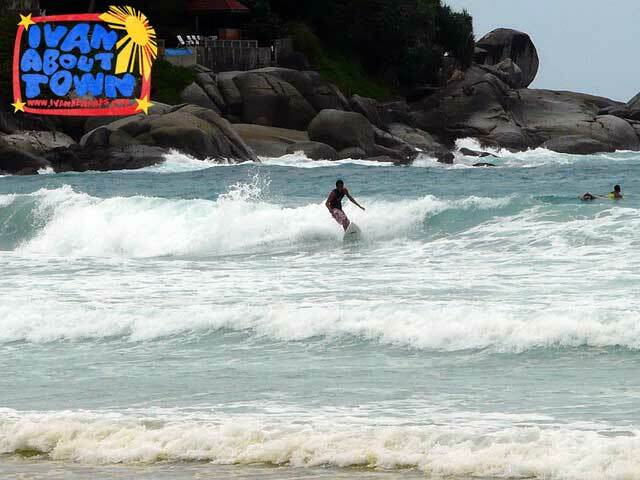 While accommodation here can get expensive, backpacker accommodation is also abundant in the area. It actually caters to everyone from budget to five-star. At the time of my visit, winds were strong and waves were high. While it was surfer's paradise, swimming was not allowed in certain areas. So watch out for the red warning flags before you head for the beach. If these flags are up, please do heed them. Hopefully, I get to visit Phuket again now that there are direct flights from Manila. 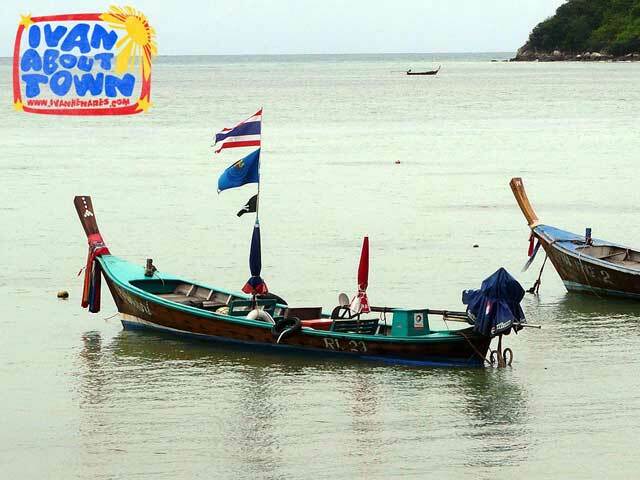 We arrange tours to Phuket, Thailand. Contact us at tours@ivanhenares.com for more details.